High-performance workwear is a modern day must-have for any working person. There’s no reason to sweat through your day (and your work shirt) when modern technology can offer you the comfort of intense moisture-wicking, odor-controlling performance while you work ... (see full details) (see specifications) #TB0A1HRV015. High-performance workwear is a modern day must-have for any working person. There’s no reason to sweat through your day (and your work shirt) when modern technology can offer you the comfort of intense moisture-wicking, odor-controlling performance while you work. This Timberland PRO Base Plate Men’s TB0A1HRV 015 Black Long Sleeve T-Shirt is your high class, high-performance option for work that's rugged enough for the job site, too. The hi-tech fabric actually weaves technology into the fibers. No, you won’t have to charge this men's long sleeve shirt or use battery power; that’s not the kind of technology we mean. This is a hi-tech fabric design that goes all the way down to the fibers used and the way they are woven. Anti-odor and anti-sweat, you'll love this high-performance long sleeve work shirt all year long. When you work, you perspire. It doesn’t matter if it’s high noon in the summer or time to clock out in the dead of winter. Sweat management is comfort management, keeping you naturally cooler in the summer and warmer in the winter merely by eliminating the moisture from your clothing. This 5.9-ounce 71% cotton, 29% polyester plaited jersey knit shirt is moisture-wicking polyester next to your skin with an odor-resisting cotton face to bring comfort to the next level. The side seam construction reduces twisting and binding so you have less adjusting to do while you work and the tagless label reduces irritation. The rib knit collar and cuffs stretch when you need them and retain their shape when you don’t for a great look and high performance. The back neck taping adds durability and to top it all off, this Base Plate men’s performance shirt has built-in 30+ UPF sun protection for easy safety while you work. Sweat and the sun go hand in hand, but you won’t have to worry about them when you wear this Timberland PRO Base Plate Men’s TB0A1HRV 015 Black Long Sleeve T-Shirt on the job. Bringing you the comfort of cotton and the added performance of polyester, this black shirt is rugged enough for the job site. 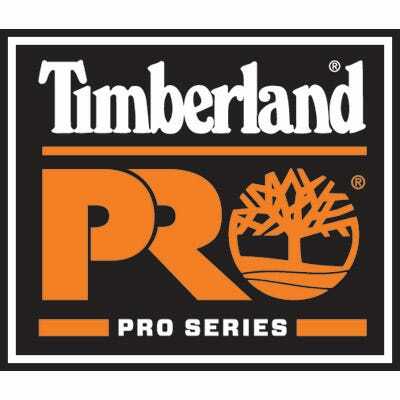 Enjoy the comfort technology brings with this high-performance logo shirt from Timberland PRO. Timberland PRO Workwear: Base Plate Men's TB0A1HRV 015 Black Long Sleeve T-Shirt is being added to your cart.